G2’s star mid laner will try to dash and slash all over UOL with new Akali. 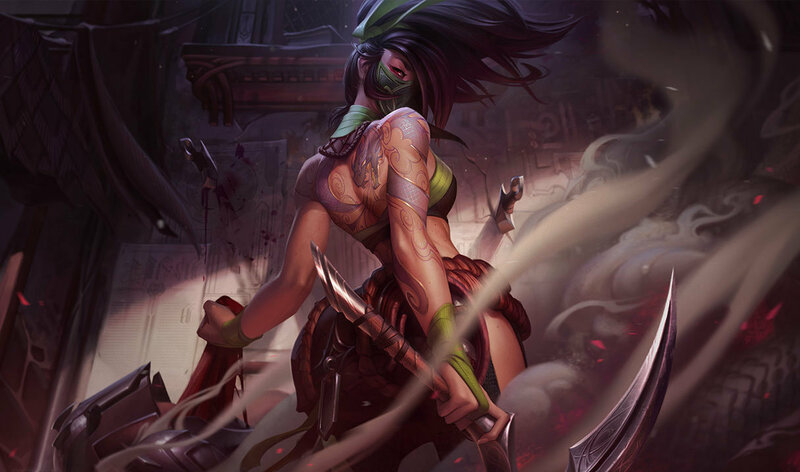 When the long-awaited Akali rework dropped a couple weeks ago, the initial reaction was very positive. Riot made her kit a ton of fun while increasing the skill cap on the champion. But she is still pretty weak in lane, which is a big reason why her solo queue win rate is in the dumps. So she’s a fun, explosive, high-skill, low-win-rate champion. That makes her seem like the ideal pick for pro play, where players with pristine mechanics can unlock her true potential. On Friday in the EU LCS, we finally got to see her in action on the competitive stage when G2 Esports mid laner Luka “Perkz” Perković locked her in. G2 left the pick as late in the draft as possible in order to hide it. Being on red side, they had the opportunity to lock in the very last pick. When they did, sly smiles spread across multiple players’ faces. Fans wanting to see Perkz pop off on the new champ had to wait a while. Respecting the damage coming from UOL mid laner Fabian “Exileh” Schubert’s Ryze, Perkz bought early Mercury Treads to try and survive lane. And G2’s early advantages came via the bot lane, which has been an inconsistent area for them this year. But after towers started falling, Akali was able to get behind enemy lines and start taking people down. First up was UOL ADC Samuel “Samux” Fernández, who was deleted while trying to teleport out. Yeah, Akali has a stun now. Killing Samux helped Perkz get Gunblade and stack his Dark Seal—having those two items is still a massive power spike for Akali. Old Akali was extremely terrifying at that point but it took Perkz a little while longer to get going. UOL actually got the game’s first Baron by catching Perkz in the top lane. But when it came down to a key fight around Dragon, Perkz was ready to go. He dove into the enemy team and started the game-winning teamfight. Turns out that new Akali is pretty strong after all. You just need mechanics like Perkz’s.